Our beanbags are great for schools, academies, colleges and corporate use, they can be used indoors and outdoors. Our UK customers include , Made in Chelsea, and Alan Titchmarshs’ Love Your Garden, ITV’s Emmerdale, Virgin Galactic, Loughborough University, the BBC, Bacardi, Coutts, Top Gear, Grand Designs, The Gadget Show, Inn on The Park, Sensory Technology, SpongeBob SquarePants, NHS, RNLI, Jim Beam, Glastonbury, Sunseeker Yacht, Mark Warner Holidays, Early Education and Childcare Unit (HCC) to name just a few of our many valued customers. Our bags meet all EU fire regulations for both Indoor and Outdoor use. Our bags have removable covers that are machine washable. Although our inner bag has its own opening for refilling, it’s at the other end, so while you know it’s there, your guests and students don’t! 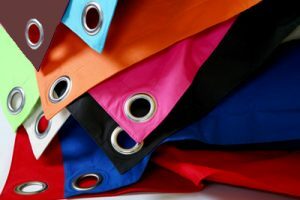 Our bags are made from UV protected, waterproof fabric. So rain or shine no harm will come to them. Our bags have the facility to be hung up, out of the way, freeing up valuable floor space when not in use. We can customise our bags with your school or corporate identity, crest, logo or sponsors. Remember the BigBoy® can seat up to three adult students or five little ones at a push! Our beanbags are great for book/reading corners, common rooms and outdoor education or recreation areas in schools, or for commercial and promotional work.